The Mizner 200 development has been a source of contention among Boca Raton residents since last year. The developer, Elad National Properties, is proposing a condominium tower that would be nine stories high and “span the length of two football fields”. The project would be located east of Federal Highway and south of Southeast First Street. The plans call for 384 luxury condo units ranging in the size of 2200 square feet. 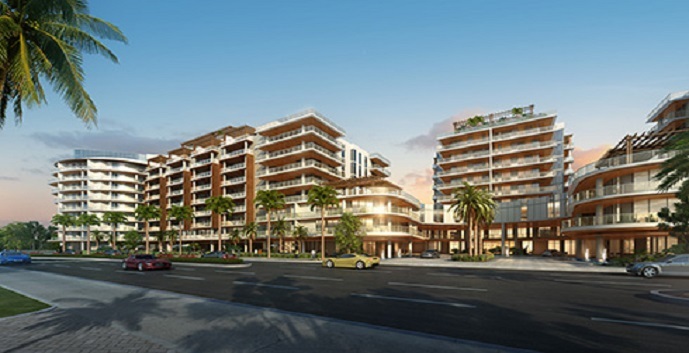 The Mizner 200 project would replace the current development of rental townhomes called Mizner on the Green. Boca Raton residents had already protested, and won, the original plans which called for four 30 story buildings and then four 140 foot buildings. Their concern is that the buildings would look like a Manhattan skyline, blocking sunlight and ocean views. Currently plans are still being revised to satisfy the citizens of Boca and an approval from the city is imminent. The plans are to lower the height and add more green space allowing views of the golf course, waterways and downtown area. Units may be available for sale in 2018. Check back for updates as we will post them as soon as they are made available.